Last year, on Christmas day, over 17 million new mobile devices went online. Before the ribbons and wrapping paper could be discarded, cybercrooks started their attacks. Paving the way for a mobile-payment driven future like Japan and Singapore have developed, mobile phones morphed into wallets during 2013, including SMS, WAP and near-field communications (NFC) payment. Data privacy and security have emerged as critical issues over the past few years, and will continue to be important as these new mobile payment options introduce new threats of data hacking and fraud. AVAST detected an average of 1,839 new mobile malware samples a day, about 60 to 70% of which were designed to send and charge mobile users for premium SMS. Speaking to SC Magazine about mobile malware, Vlček said, “Especially on Android, the KPIs are exploding, because its openness and design make it a logical choice for the attacker, and it has reached a critical mass in terms of penetration and market share.” And, he adds, with the smartphone's ability to send premium SMS and spam SMS messages offering new channels for malware writers to make money, it's only going to get worse. AVAST this year has also seen more targeted attacks where the goal is to steal users‘ financial transaction data and ultimately their money. This includes hacking specific banks by manipulating their Internet banking interfaces to steal the customer’s personal data. It's a good idea to follow Ondrej's advice and get a mobile security product for your Android smartphone or tablet. We suggest PC Mag's Editor's Choice award winner, avast! Free Mobile Security. Upgrade from avast! 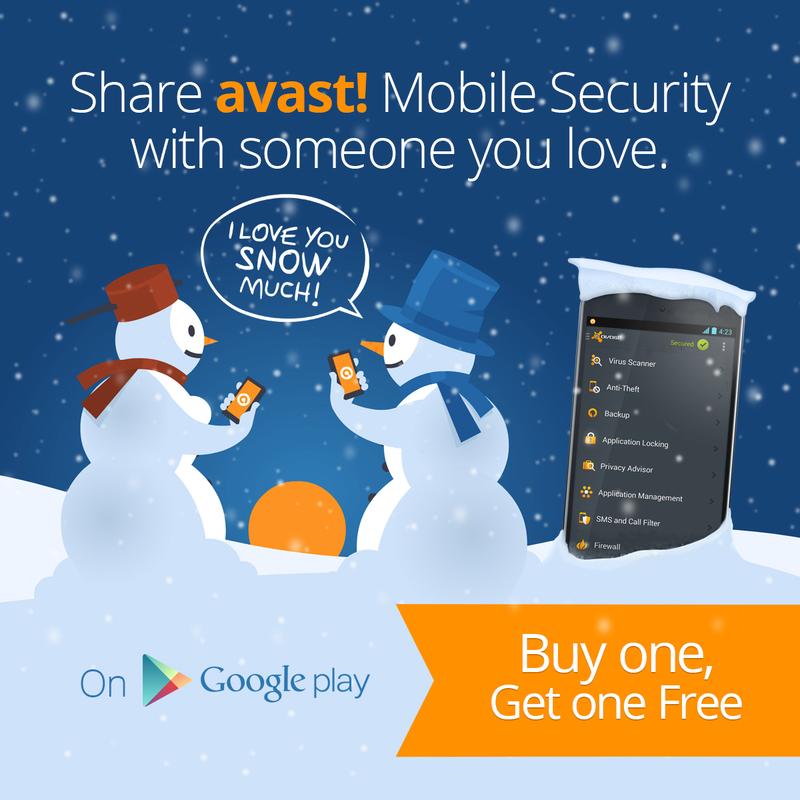 Free Mobile Security to avast! Mobile Premium for your device and get a second license free of charge for a friend! To get this offer, install our top-rated avast! Mobile Security app, then click on the Go Premium! button and follow the instructions. This offer is valid from now until the end of December. Buy One, Get One: avast! Mobile Premium.